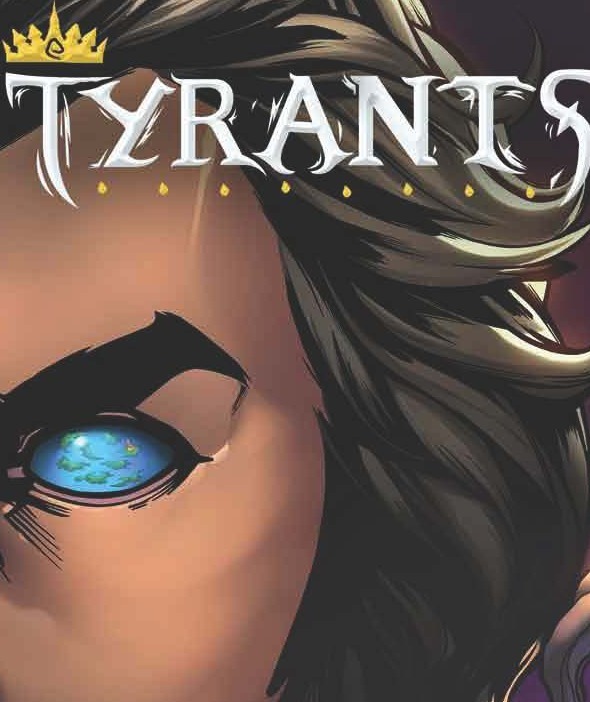 I mentioned how when I was at the Saint Louis Comic-Con I met the guys from Hollow Harbor who were there to promote their, "Tyrants," comic. 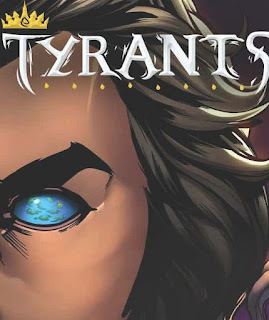 Written by Josh Barbeau with art from Esau Figueroa, "Tyrants," centers on a teenager named Atum in a fantasy world that involves a chain of islands called, "The Spiral." Atum's Father used to hold a great deal of ruling-power in the region but for some reason lost it and now has a tiny sliver of the chain he controls. There is clearly a lot of political intrigue and power-plays going on around Atum during the two issues I read, but he frankly doesn't care. Unlike some stories featuring teenagers that seem to be all the rage (all that dystopic-future young adult stuff that have countless books coming out) Atum isn't acting like some wise-beyond-his-years savoir of the world. He's just a young man who wants to be free to roam and do what he wants. It's refreshing change of pace from all the stories where teenagers for some reason are eager to take-on the world and cause epic things to occur. Sometimes teens just want to be able to hang-out and enjoy life. Atum of course can't just relax however, as his Father has big plans and the fact that Atum possesses mystical powers like some other residents of the island chain (he can turn into smoke). This is a tool that his Father for sure will want to use, as the comic makes clear. This isn't to say Atum's Dad is a bad person, he just clearly is a bit overbearing and obsessed with reclaiming lost power. Throughout the first and second issue of, "Tyrants," Atum and his Father interact with a variety of folk and hatch plans, but I actually liked the comic most when it was just focusing on quieter moments--Atum and his Father training, Atum chatting with the daughter of another ruler about the history of the spiral of islands, etc. All this talk of my liking the quiet moments isn't to say I had issues with the bits of action, however. 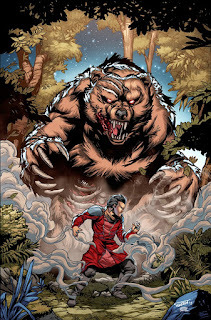 In the second issue when Atum goes-up against a very large and very angry bear, illustrator Esau Figueroa gives us a brutally efficient scene of running and fighting. Figueroa also draws the smoke from Atum's power in a way that looks natural and truly weightless, which impressed me greatly. Figueroa without a doubt turns in some good-looking imagery that has an appropriately fantasy-esque feel without appearing too, "Magical," in this world that has magic, but is by no means a joyful world of pixies and rainbows. A good deal of, "Tyrants," centers on Atum being a part of grand plans for, "The Spiral," but I actually was most engaged when we had the great smaller moments of character development. 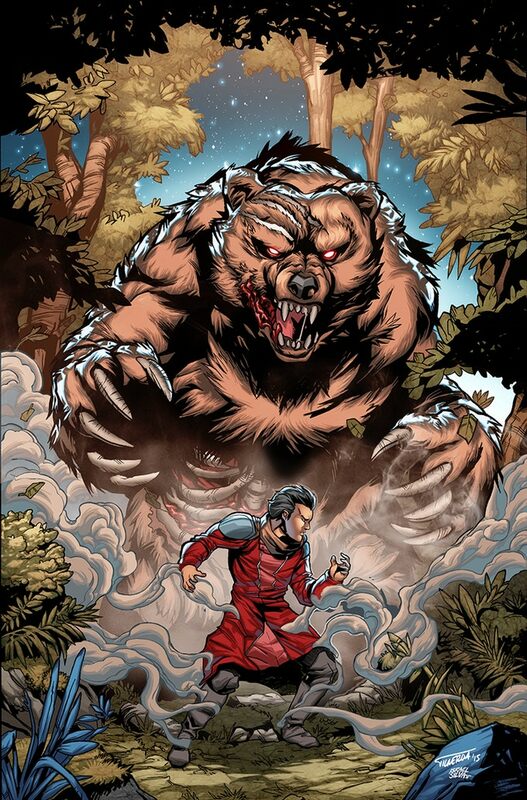 Writer Josh Barbeau balances these quiet bits with other action-filled elements of the story and it results in what I would feel is a very solid read. I encourage you to visit Hollow Harbor at their website and I personally am excited for what the 3rd issue will bring us! 4 out of 5 stars (for both issues).